MK Yoav Ben Tzur blasts Supreme Court for ruling that supermarkets in Tel Aviv can open on Shabbat. MK Yoav Ben Tzur (Shas) told Arutz Sheva on Thursday that his party would work to enact a law that would ban supermarkets in Israel from being open on Shabbat, in response to a Supreme Court ruling approving the opening of supermarkets in Tel Aviv on Shabbat. The ruling, which was the final ruling handed down by outgoing Supreme Court President Miriam Naor, contradicts the Jewish character of the State of Israel as a Jewish-democratic state, Ben Tzur said. "The Court decided, using different analyses, to violate the basic law of Sabbath observance and I hope we will find the way to overcome it," he added, noting that opening businesses on Shabbat harms the weaker layers of society, including clerks, couriers and others who will be forced to work on Shabbat while their employers stay home and rest. Most of the Israeli public, including the secular public, wishes to rest and not work on Shabbat, opined Ben Tzur. "As public figures, we are committed to preserving the Jewish character of the State of Israel and we cannot turn the State of Israel into a 24/7 state. We will lead towards clear legislation that will order that the supermarkets be closed on Shabbat as a basic law in the State of Israel,” he stressed. "The Supreme Court harmed the status of Shabbat, this is a violation of the Jewish character of the State of Israel, a character that gives us the only legitimate right to live here. Most of the Israeli Jewish and non-Jewish public wants Shabbat as a day of rest and those who do not receive this day off from their employers approach Knesset members and ministers for help. I know how much of the public wants to rest on Shabbat,” said Ben Tzur. "Tel Aviv is not another country. It is part of the State of Israel, it is a Jewish city and the leaders of the state decided that Shabbat is a day of rest in the State of Israel. They understood that rest on Shabbat is our legitimate right to this land,” he continued. "Unfortunately, pluralism is being cynically used in democratic Israel and the result is harm being caused to the foundations of this people and the State of Israel. We will make sure that a law will be enacted that will close all the supermarkets on Shabbat and allow everyone to rest on Shabbat in a normal way, like any Jew anywhere in the world. 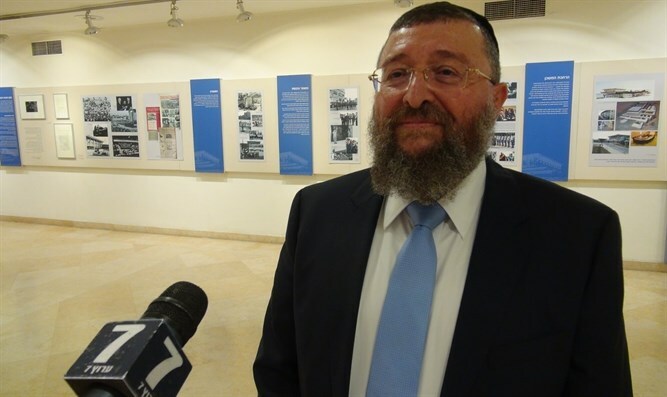 The prime minister is involved in this matter and so is the interior minister, and we hope we will find a way to legislate this law so that Shabbat will eventually return to its full glory,” concluded Ben Tzur.